How many times have you stood in the wine section wondering, ‘what the hell shall I drink tonight with supper?’ then gone straight for the Malbec? Hmm, I thought as much. The violet stuff dominates most meals without a second thought and with decision-making taken out of your hands, we could easily down Malbec and live happily ever after. But fresh to the table is an instant lifestyle improvement mechanism, a glorious new bottled concept that cleverly helps you pair food and wine successfully. No training necessary! No need to think before you drink! Removing the tricky part of pairing, Bienconvino – Serie Maridaje has been created by sommeliers and a chef with oodles of culinary knowhow. Bold and colourful labels inspired by old-school encyclopedias show off tagliatelle wrapped around a fork, a tropical looking fish, a cow’s head. The message is clear: this is what you should eat with this particular wine. In addition, the grape isn’t even named on the front of the bottle, another move away from tradition. As for the back label, you’ll find a recipe on each for the ultimate eating and drinking experience. 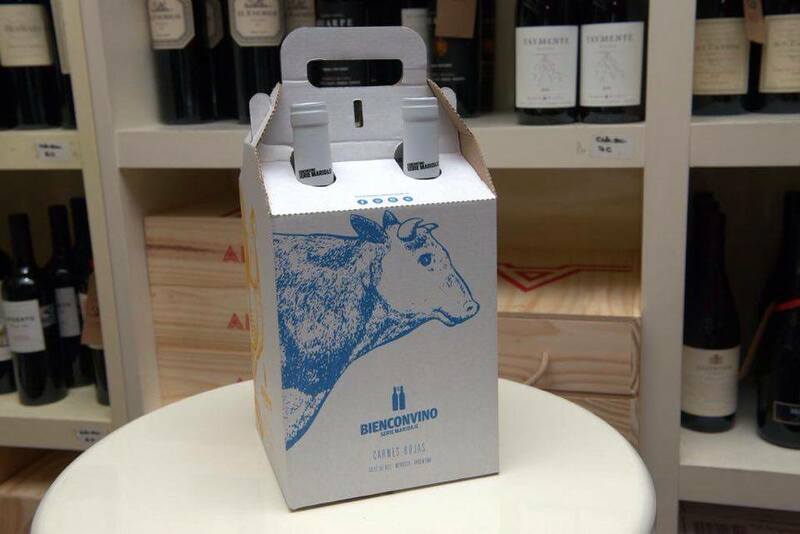 Sommelier Valeria Mortara and cook ‘n somm Mariana Achaval (one of my teachers at CAVE wine school) worked on Bienconvino for almost two years before it was ready to sell. 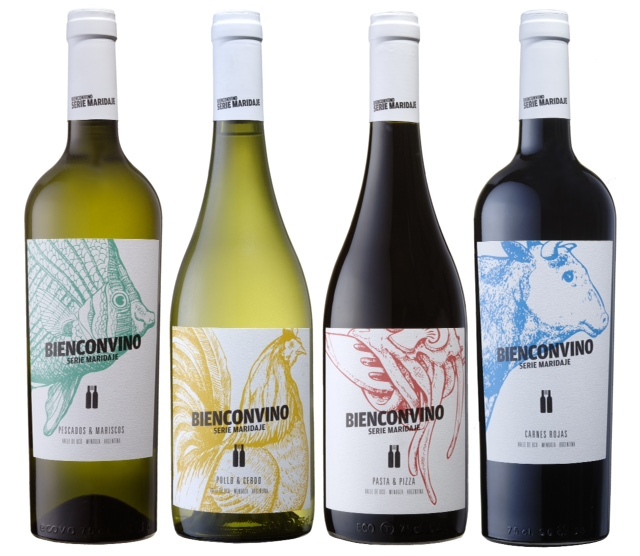 A brand-new concept for Argentina, it should start a mini revolution in the wine market. Mariana tells me: “We’d come up with the idea as we always get together for dinner, talking about what to cook and drink with it. “Then, I was on holiday in the US, a bit bored at the beach chatting with friends, and noticed some people drinking a wine called Trout and Salmon; it had a horrible label but was similar to our concept. That convinced us that we had a good idea and that we weren’t completely mad. Of course, it’s never quite as simple as ‘hey, let’s make some wine.’ And with the recent trend for local sommeliers to team up to make a signature wine with leading winemakers plus a market that only works in dollars, challenges have been ample to say the least. Mariana (l) and Valeria (r). They also go well with wine. 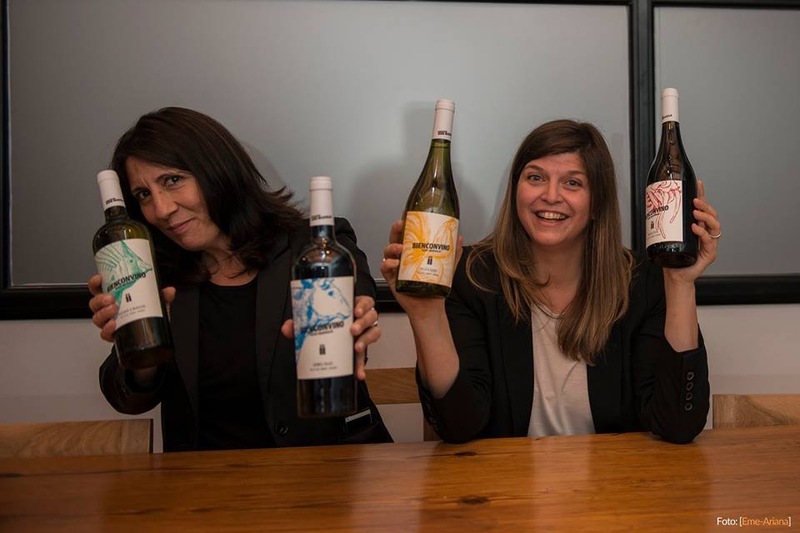 Mariana adds: “Enologist Matias Michelini made a wine with [sommelier] Paz Levinson, Juan Pablo Michelini made a wine with Agustina de Alba and we did wonder which winemaker would want to help us. Valeria knew Marcelo Pelleriti from Monteviejo a bit but we didn’t want to make vino de autor: we had an ambitious plan, a series of four or five wines. With four 2014 wines born in Uco Valley released to date – Pescados & Mariscos (Fish & Seafood); Pollo & Cerdo (Chicken & Pork); Pasta & Pizza; and Carnes Rojas (Red Meat) – a fifth, a Malbec/Cabernet Franc/Syrah rosé blend, is due for release in January. I gave the whole series a whirl over lunch with Mariana at Brasero Altántico, dipping into a variety of dishes to sample them all. And favourites reared their heads immediately. While I sampled Pescados & Mariscos – a 60 percent Chardonnay 40 percent Torrontés – not with fish but pickled vizcacha, it won out over the nine-month oaked Pollo & Cerdo Chardonnay. An unusual white blend of which relatively few are produced, Torrontés’ characteristic floral aromas were evident, while the mouth was crisp with apple and pear and a hint of citrus. Apparently that’s the white the hip bars are snapping up, according to Mariana. I instantly felt cooler. As for the reds, Carnes Rojas was an instant hit. This 65 percent Malbec 35 percent Cabernet Franc, aged in oak for 12 months, was black fruit and black pepper with plenty of limey minerality and tannins to boot. And it’s the perfect candidate to understand how pairing with food improves the culinary experience. On its own, it’s a bit brusk, a little overpowering, you might not make the second date. But share it with a glorious T-bone and the food maketh the wine. Bienconvino. An instant lifestyle improvement mechanism. XMAS GIFT ALERT: Mariana and Valeria have designed the perfect party pack, so you can snap up all four and in one hit and carry them home in this easy-peasy box. Suggested price: Pescados & Mariscos 135 pesos, Pollo & Cerdo 200 pesos, Pasta & Pizza 180 pesos, Carnes Rojas 220 pesos. Available from Pain & Vin and other wine stores.